Spring Clean Your Life. | The girl who loved to write about life. My friend Lindsay blogged a few weeks ago about spring cleaning your life, and I was inspired by her post and wanted to add my own! First, I just want to say that this is the first year of my life that I've ever been not-miserable when thinking about actual cleaning. It's because of the cleaning products that keep talking about. I swear I don't secretly own stock in this company, I just really freaking love them and think that maybe if you hate cleaning as much as I do, you also need to fall in love with them. This week I'm going to rave about the glass cleaner, because it somehow works better than Windex without making me feel like I'm suffocating when I smell it, and the daily shower cleaner (you just spray it right on, no need to scrub) that smells like eucalyptus and mint, aka MY SHOWER SMELLS LIKE A SPA. But anyway. 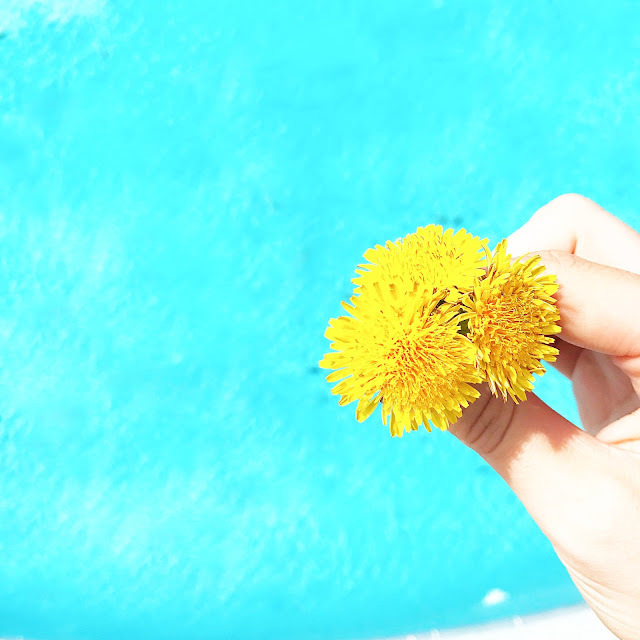 On to spring cleaning your life. Unsubscribe from email lists you've somehow ended up on. This was on Lindsay's list, but I'm putting it here too. You really don't need to be notified every time every place you've ever shopped at has a sale, I promise. Donate clothes that no longer fit you. I've got two not great things going for me here: One, I was crazy tiny for most of my life. Two, I am a clothes hoarder. My parents taught me to take good care of my clothes, and I did. And I just added my own advice to the end of that: "And keep them forever!" So now I've got tons of (very tiny) clothes in my closet that will probably (definitely) never ever fit me again. If you're like me, then when you're getting dressed and you see a really cute dress, only to realize it's approximately 84 sizes too small, you don't feel too great about yourself. So donate them. Help someone else by simultaneously helping yourself not have a breakdown every time you get dressed. Delete old phone numbers. Jack got a hold of my unlocked phone the other day and decided to make some phone calls of his own. That was all it took for me to start deleting old numbers. If it takes me more than 10 seconds to explain to you who I am, I probably shouldn't have your number. Delete old emails and texts. On the same topic, if you don't talk to someone anymore, you shouldn't feel the need to save their texts. If you no longer work for a company, you don't need to save those emails. Clean up your spending and make it more about happiness. This year, when it comes to spending money outside of necessities (like rent and diapers), I've worked really hard to 1) Save money for our upcoming vacation, and 2) Spend money only on things that really make us happy. So we're not just going to mindlessly eat out because I'm tired and don't feel like cooking, we're going to eat out because Mexican food sounds great and we want to go to our favorite little place together. I'm not going to buy a new dress just because it's pretty and I can afford it, I'm going to buy a new dress that I know I'll wear all year and that will make me happy whenever I wear it. At the end of the day, we all only have so much money. Even if you've got lots of it, at some point, it runs out. So work on consciously deciding where to spend it, and spend it on things that are going to bring you happiness. Clear some room for taking breaks. Yesterday was a very heavy day for reasons that aren't mine to tell. I usually wake up, write some blogs, and work out. It's a routine that's been good for me, but yesterday, I just needed a break. So I took one-no writing, no working out, no planning. I just sat in bed and drank my coffee, and it was exactly what I needed. I want to start doing that on a normal basis, not just when I have a hard day. Taking a break is so good. Slowing down is good. Not jumping right into your to-do list at 100 mph every single day is good. So clear up some room for taking those breaks. 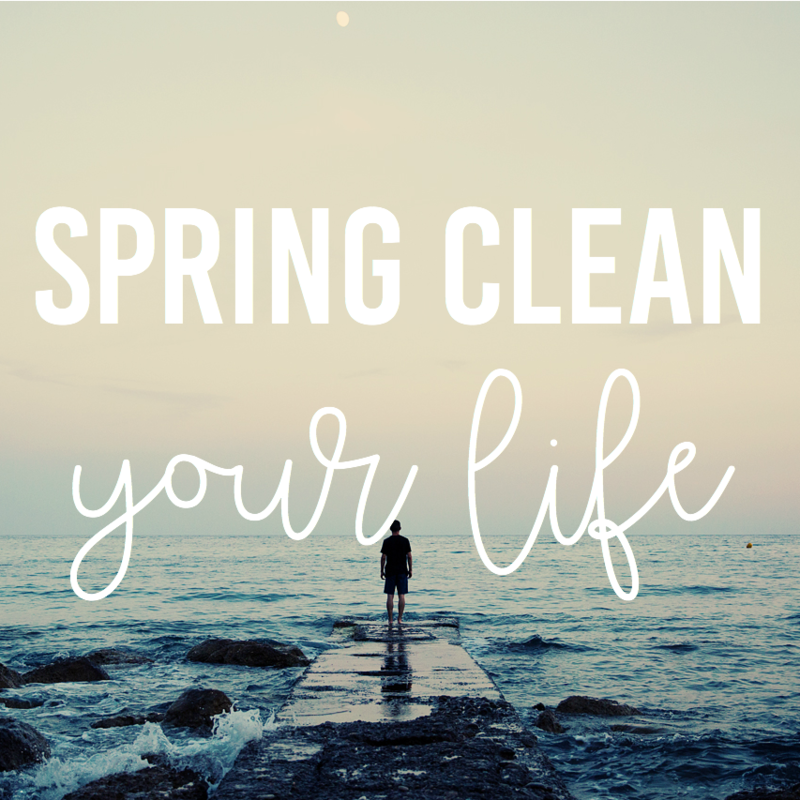 How will you spring clean your life this month?